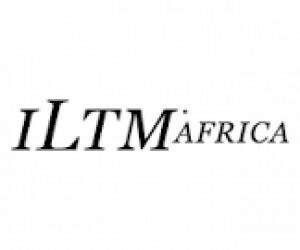 With the over-arching theme of ‘Transformative Travel’, ILTM Africa 2015 begins at 9am on Monday 13 April at the Cape Town International Convention Centre (CTICC) with a thought-provoking Opening Forum that will explore Africa’s place at the heart of the contemporary luxury travel trend for philanthropic experiences. The scene will be set by Anita Mendiratta, renowned International Strategist and Advisor on Tourism and Economic Development, who will address what 'luxury' means for world travellers to Africa - the core motivators that turn a travel experience into a series of luxury moments - and how luxury has become one of the most important channels for Africa to showcase all that it has to offer the world. The Opening Forum will continue with the main debate of the morning: ‘Transformative Travel: Local Connection & Lasting Legacy, Africa's BIG Opportunity’. With luxury travellers increasingly seeking experiences that will ‘transform’ both their own travel experiences and also the lives of others, the session will profile industry experts who will discuss how short term visitors can make a sustainable impact with a lasting legacy on a local community. As session moderator Michaela Guzy comments: “Africa has an incredible opportunity to promote all the good work already being done and inspire support from journey seekers across the globe.” The discussion will cover the role of suppliers in creating authentic experiences in which travellers may participate, which also supports surrounding communities, environment and wildlife, as well as the role of the travel advisor in educating their clients to be responsible when participating. Speakers at this session include Les Carlisle from &Beyond; Trevor Fernandes from Wildlife Safaris, James Fernie from Uthando and African Bushcamps’ Beks Ndlovu – organisations connecting community issues and luxury tourism for the benefit of all. To close the Opening Forum, attendees will hear from a transformative travel case in point: Kevin Chaplin, MD of the Amy Biehl Foundation - a non-profit organisation running programmes to develop and empower 5-18 year old youths in the impoverished townships. Partly financed by its links to the inbound African travel industry, the Foundation reaches 2000 children every day, contributing to many community building efforts in working towards alleviating HIV Aids, poverty, gangs, violence and crime. ILTM Africa is a specialist invitation-only event, where luxury travel agents and advisors from across the world meet Africa’s most spectacular luxury travel experiences. Now in its third year, ILTM Africa is set to introduce an unrivalled community of dedicated Africa buyers and suppliers in mutually-matched, one-to-one appointments, across three days. ILTM Africa will be one of three co-located travel industry events at the CTICC that form ‘Africa Travel Week’. The others will include IBTM Africa (Incentive, Business Travel & Meetings), also 13 – 15 April and WTM Africa (World Travel Market), which will take place 15 – 17 April 2015. For further ILTM Africa information, please visit www.iltm.com/africa and for further Africa Travel Week information, please visit www.africatravelweek.com.